There are always new trends coming out — a new and improved diet, workouts that are easy but show the best results, how to make your skin flawless, and so many more. These trends are never-ending and most of us seem a little skeptical when we decide to try them. One new beauty trend that you may be hearing a lot about but aren’t sure how beneficial it actually is, is the activated charcoal fad. You may have seen those videos online of people brushing their teeth with charcoal, turning their entire mouth black and supposedly giving them a brighter and whiter smile. Or you may have heard about the charcoal face masks that are painful to remove but leave skin smooth and clean with smaller pores and a better complexion. We know you are wondering if these activated charcoal trends actually work or if they are all just hype. That is what we are going to take a closer look at today! If you are looking for something to improve the appearance and feel of your skin or you want to learn more about your skin and what can benefit it, schedule an appointment with our skin experts at Azeal Dermatology Institute in Boulder. We can help you learn more about your skin, what to avoid using and what could help! But for now, let’s take a closer look at the activated charcoal trend. First, let’s start with the basics. Activated charcoal is not the same charcoal you are thinking of that you find in a grill. This is important to know so that you don’t start rubbing grill charcoal on your face, that probably wouldn’t help your skin very much. Activated charcoal is made with some substance, such as bamboo, coal, wood, or coconut shell, which is burned without oxygen, making a char. The char is then exposed to different gases and heated to high temperatures, which makes it “activated.” This activation process makes these activated charcoal products more absorbent. According to Allure, activated charcoal has been used for years in emergency rooms. Thanks to its absorbent nature, it has been used to treat poisonings, such as alcohol poisoning, and drug overdoses. Activated charcoal absorbs toxins in the stomach before they can be absorbed into the bloodstream. The thought process is similar to using it as a beauty product. It will absorb the dirt and oil from your pores and leave your skin healthier and smoother. Now that you know more about activated charcoal and the theory behind it, let’s take a look at the benefits! When you use activated charcoal for skin care, it will most likely be in the form of a face mask or cleansers. You may know these face mask by the videos of people trying, painfully, to remove them. But with the boom of activated charcoal users, there are more and more products that can help and may not be as painful to use! There are many benefits of these activated charcoal skin products, let’s take a closer look at some of these! 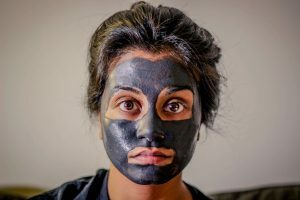 An article from Reader’s Digest mentions that when activated charcoal is used as a face mask, it will attach to the dirt in your pores and pull it out. This makes your pores less visible and smaller since the oils and dirt typically trapped in your pores is pulled out. Since activated charcoal pulls out dirt and oil from your pores, it helps reduce acne and keep your skin cleaner. When you use activated charcoal soap, you will also get the benefits of an exfoliant since it is slightly gritty. If you have tried everything for your acne, this could help, depending on the severity of your acne. If you are trying to solve your oily skin problem, activated charcoal may help as well! When you use a cleanser or a mask, it can pull excess oil from your skin, leaving it healthy and smooth. Like most oil-reducing skin care products, you will only want to do this once or twice a week so your skin doesn’t dry out. The main benefit of activated charcoal for your teeth is that it can help whiten them for a brighter smile. An article from Dr. Axe mentions that it can do this by absorbing plaque and microscopic food debris that stains teeth. This is a cost-effective and natural way to get a brighter and white smile. 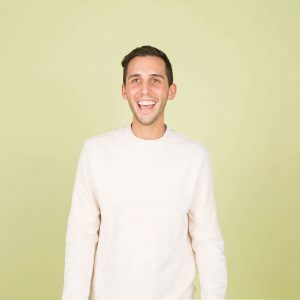 The Dr. Axe article also mentions that activated charcoal can help with your overall oral health by changing the pH balance, preventing cavities and gum disease, and helping with bad breath. One benefit of activated charcoal that you may not have known about is what it can do for your hair. The Reader’s Digest article talks about some of these hair benefits! Just like your skin, your hair contains dirt, oils, and toxins. Activated charcoal can pull out these dirt and toxins to leave your hair healthy and beautiful. You can find both regular and dry shampoo with activated charcoal, or make your own by adding charcoal powder or tablets to your current shampoo. When you wash your hair with regular shampoo, you are only removing surface dirt, but when you use activated charcoal, more dirt is removed. Activated charcoal will also not leave the residue that other shampoos leave, leaving your hair light and volumized. Activated charcoal is also good for treating issues, such as dandruff, redness, oily, and itchy scalp. It works on your scalp the same way it does on your hair or skin, by removing toxins and dirt and leaving everything clean and healthy. While activated charcoal has been used in hospitals for years, the research is still continuing on the benefits of activated charcoal for skin, hair, and teeth. 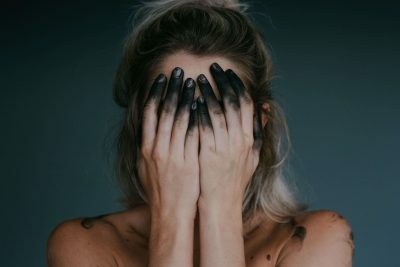 While the results seem to be similar for most users, we suggest that you don’t overdo it with the charcoal and be sure to spot test before applying these products to your entire face, all over your head, or putting it in your mouth. If you are thinking about using activated charcoal for your hair, skin, or nails, the main thing to be sure of is that you are not using grilling charcoal! We are sure it has happened before, don’t be that person. If you want to learn more about your skin and what can help improve itself health and appearance, we can help. While an activated charcoal face mask may be beneficial, get an expert’s opinion by scheduling an appointment at Azeal Dermatology Institute. We can help you determine what is best for your skin and how to make the improvement you want! Contact us today to learn more.